You are here: Home » Comparison: Challenging Tool or Thief of Joy? Have you ever had someone say something so startling that, in an instant, their words seem to smack you in the face with a reality check? I recently had one of those moments: an abrupt and much-needed a-ha! moment, that reminded me to be my best teacher self, I need to give myself grace and keep it all in perspective. My former student, Teresa, was on a break from Georgetown University and we arranged for her to visit my classroom to catch up before she headed back to DC. She met my current students, and during my planning period afterward we chatted. At one point she asked, “So, how are things going? Are you liking your new school?” (I’ve recently moved.) I said, “Yes, definitely, but I have really got to get it together, I’m a little behind,” and gestured toward my computer and planner. Teresa smiled wryly and without missing a beat asked, “Like, actually behind? Or behind for you?” In that moment, I felt a pang of relief and a surge of reflection, as if her words had come out of her mouth, grabbed my shoulders, and shaken me. WOW. Teresa, knowing my love for teaching and desire to serve my students well, to teach them to the best of my ability, to give 100% each day in curating and executing engaging, relevant lessons, had hit the nail on the head. Was I actually behind? Nope. Sure, I could’ve been planned even further ahead, I suppose, but was there anything dire that I was neglecting and therefore my students’ education was suffering? Absolutely not. A few seconds passed, I blinked, and repeated her words, adding, “Wow…” after. She had a knowing smile and cocked her head to the side as if to say, “Told you so.” I haven’t taught Teresa in a few years, and yet she in that moment read me like a book and was able to communicate, “Calm down, lady, and give yourself a break,” which I didn’t know that I needed to hear, but I did. When someone else sees what’s really going on, beyond your own insecurities, it’s really startling. That became a turning point for me, and a now-often reflection in my mind when I feel inadequate or overwhelmed, i.e. often. I read others’ blogs and see their great ideas on Twitter and at conferences, and I forget to, as my county supervisor Jon V. tells his teachers, give myself grace. Those are the times, like the aforementioned professional development arenas, for people to intentionally push play on their highlight reel, because that’s the point. BUT, we must be mindful to NOT assume that is their day-to-day. The highlight reel does not necessarily highlight real, nor should it. We all share the best parts of ourselves because they’ve been effective, and we work to make our bad good and our good better. It’s a slippery slope to seeing a few great ideas come from a dynamic colleague and suddenly feel terrible – all we can think about is s/he doesn’t have that darn fifth period that is too noisy, or a recent failed project with technology, or snarky student comments/feedback. Truth: yes, s/he does. Truth: we all do. 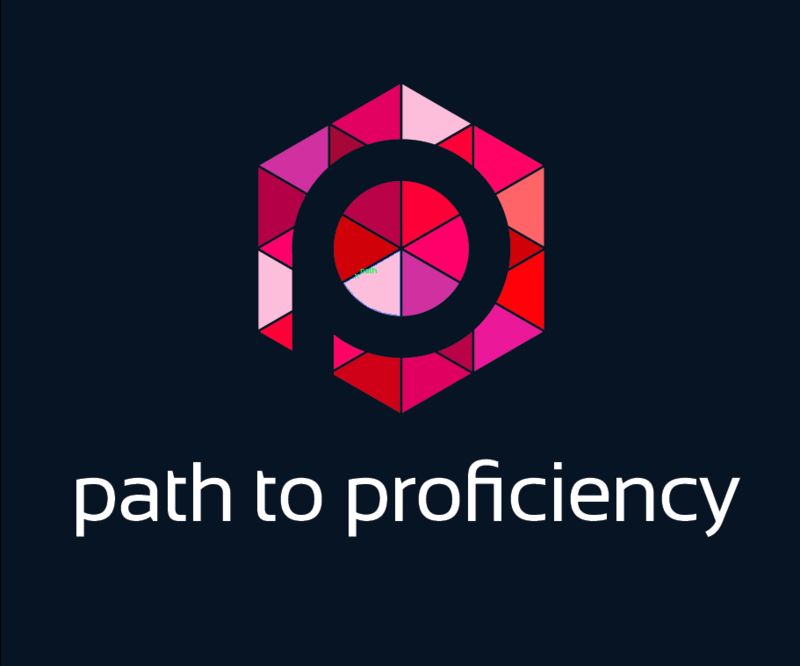 Truth: the deep, dark secret of teaching toward proficiency is that the absolute worst day using proficiency-based teaching STILL knocks the socks off of any strictly grammar-, text- or grade-based teaching. Yep, I said it. Give yourself grace; to experiment, to try, to brag, to vent, to love your students, to teach joyfully, and to teach toward proficiency the best way that YOU can. At the end of the day, we want to teach joyfully – so, if comparing ourselves to others is inevitable, we must decide whether or not we use its powers for good or evil. Good fuels our classroom practices and makes us better; evil makes us feel lesser and question our worth. I choose the former – and ultimately I am less stressed and can focus on what’s really important: my students and their language-learning experience. Love this!! So much truth AND grace in this post Meredith! Social media sometimes makes it harder for us to keep perspective because someone else is always doing SO much more it seems. We are hard on ourselves…you are amazing! I often wonder at how much you do everyday. This was a good reminder. Thank you!! Pingback: Weary – En français, SVP! I so needed this!!! Thank you! This semester, I’m changing things up a bit – they’ll still submit their URLs via a Google Form each time as the turn-in, but they’ll also turn in this physical checklist each time that outlines what they need to do, AND keeps track of their passwords and what e-mail they used to sign up with. I don’t even want to think about the amt. of time wasted last semester with lost passwords, user names, which e-mail they used, creating a whole new blog, syncing the two up, updating my records so I know where to grade, blah blah blah. This will hopefully streamline it and give them a clear process, plus the accountability AND some documentation for me (should we need their info. later or I realize tomorrow when grading that it’s incomplete so I need to know how far they got, etc. ).